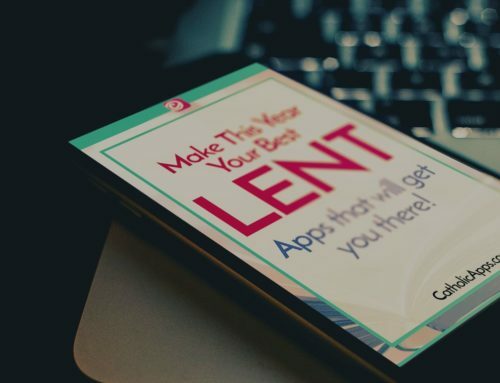 This app for a Novena to the Holy Spirit is a great way to continue our journey in this season of Easter and to prepare for Pentecost. As we continue to celebrate Easter in the Catholic World, we also begin to look forward to the pivotal moment in Church history, the day everything changed, the moment that Christ sent his followers the Holy Spirit. 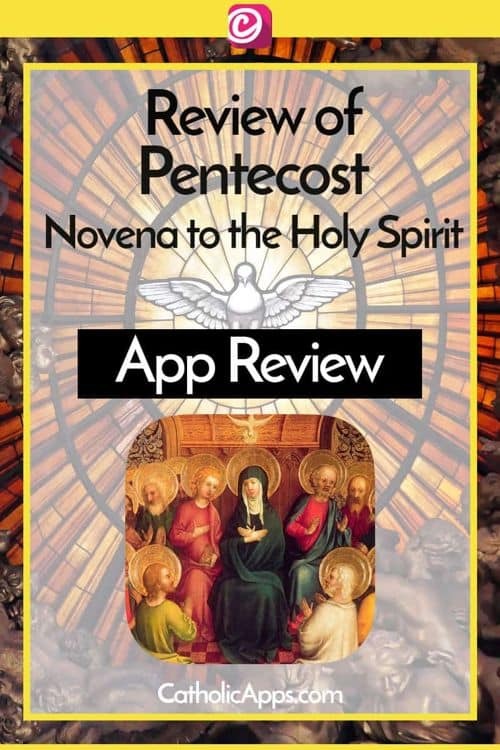 This app for a Novena to the Holy Spirit is a great way to continue our journey in this season of Easter and to prepare for Pentecost. 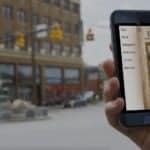 The app provides everything we need to engage fully in the only official novena to the Holy Spirit that the Catholic Church has. The Novena begins on the Friday of the 6th Week of Easter, which is the day after the Solemnity of the Ascension (Ascension Thursday). Even where this Solemnity is transferred to the 7th Sunday of Easter, this Novena still begins on the Friday before. We all know that Jesus told his Apostles that He would send them a helper, that even though He would return to the Father, He would always be with us. “And eating together with them, he commanded them, that they should not depart from Jerusalem, but should wait for the promise of the Father…” Acts 1:4 This Pentecost Novena in honor of the Holy Spirit is in a sense the first Novena ever taken by followers of Christ; and it was Christ Himself who instructed his followers to undertake it. While the Apostles and Mary were gathered in the upper room they waited and they prayed, trusting in the promise that Christ made to them, not knowing what to expect but waiting with expectant hearts. 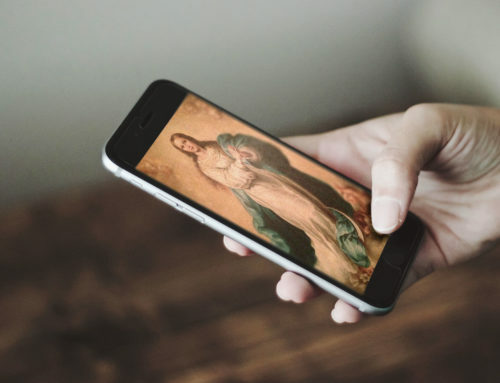 Now more than ever, we too need to pray and wait for the power of the Holy Spirit to guide us and empower us to face the challenges of every day and this app will help us to do just that. 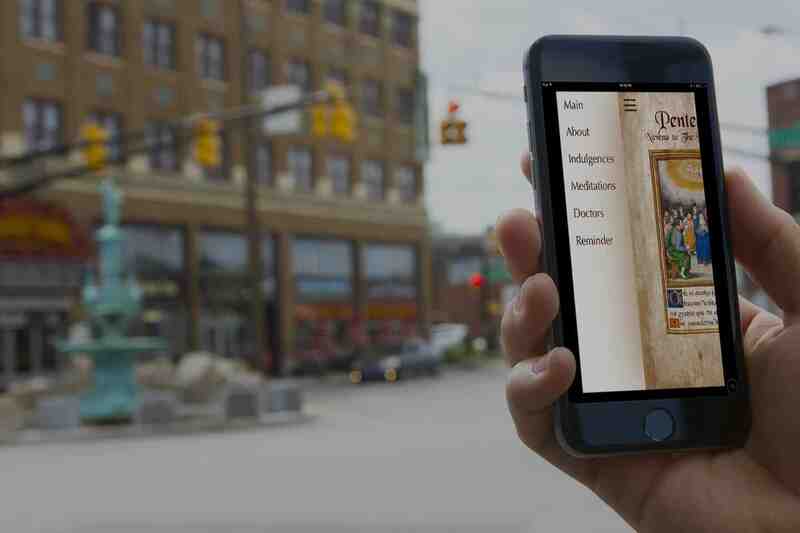 A really good app, five starts for sure, that gets you prepared for the celebration of Pentecost. From Your clear celestial height, Your pure beaming radiance give! Sin is the result of ignorance, weakness, and indifference. The Holy Spirit is the Spirit of Light, of Strength, and of Love. If you are anything like me, you may need a reminder in order to not miss a day of your novena. 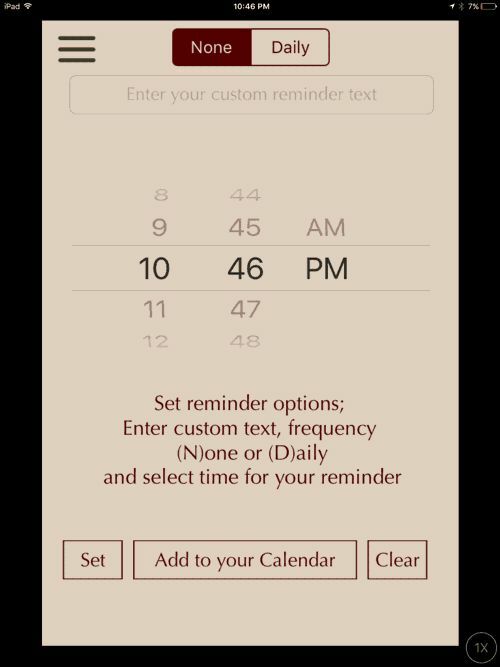 You are able to set a daily reminder in the app or you can add reminders to you iOS calendar. Reminder settings are found under the Reminder tab of course. Reminders can be set for a specific time of day, if you want to pray the novena at the same time every day. The Doctor menu item provides us with further quotes and information for meditation on the Holy Spirit from the great Doctors of the Church. St Paul the Apostle, St Thomas Aquinas and other Doctors & Church Fathers give us insight into living life with the Holy Spirit as our guide. 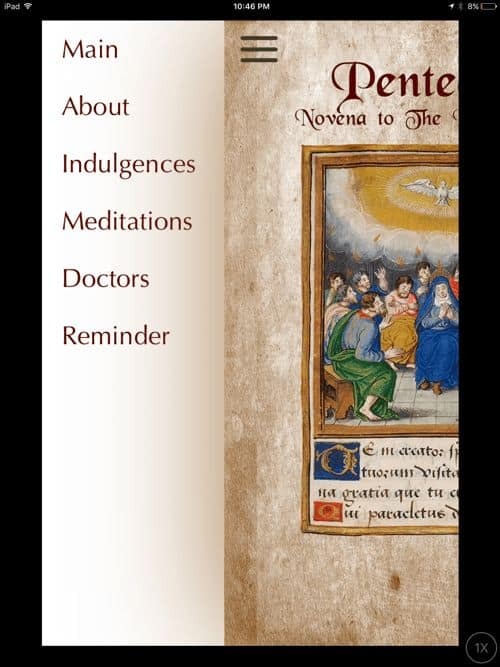 The Indulgences menu outlines the partial indulgence granted by the Church with devout participation in the Novena to the Holy Spirit. It also provides general information from the Church on indulgences and what it all means. A Novena is a wonderful way to focus our hearts and center our prayer in preparation for a big event in our lives and in the life of the Church. 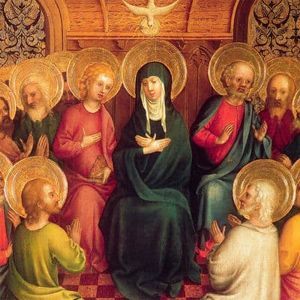 I had never heard of this Novena to the Holy Spirit until I came across this app – I for one am going to pray this Novena with my family in preparation for Pentecost. 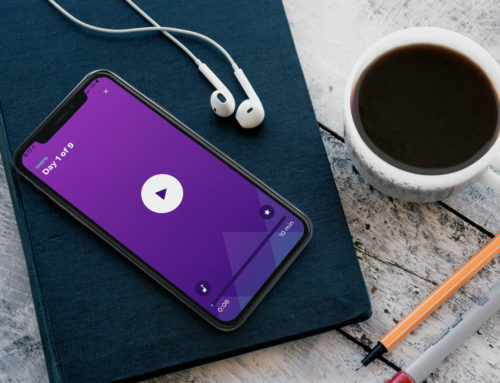 The app gives us information on the 7 Gifts of the Holy Spirit which we can receive in greater abundance if we just ask – the gifts of Wisdom, Understanding, Counsel, Fortitude, Knowledge, Piety and Fear of The Lord. 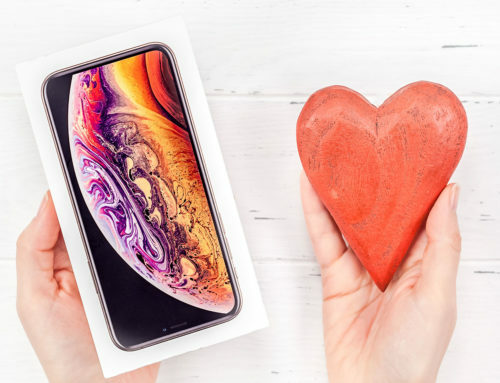 From these gifts also comes the 12 Fruits of the Spirit; Charity, Joy, Peace, Patience, Kindness, Goodness, Generosity, Gentleness, Faithfulness, Modesty, Self–Control and Chastity. My family and I could absolutely use more of these fruits and we will be praying for open hearts to receive them at Pentecost. We hope that you choose to join us!